If you will ask me to suggest a product that I trust the most for self improvement, my answer would be- Christie Marie Sheldon’s Love or Above program. 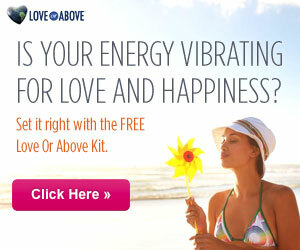 I have made many other product reviews and all of them are pretty good products for helping people in different areas of their lives, but I give the number one spot to Christie Marie Sheldon’s Love or Above program along with her Unlimited Abundance course which you can opt if you find this one satisfying. If you have been to this website before, you might be knowing that I try my best to write reviews in the most simple and moderate manner possible, sometimes I have to control my excitement because the freshness always makes us to feel “this is the best” but, here I would like to take the liberty to brag about this product because this is something where all a person has to do is to listen to the modules and follow what Christie says, and he/she will start to see and feel the changes very soon. It is like world’s best intuitive healer taking private sessions at your home! When you visit their website, it will show you a frequency chart which indicates various vibration levels in which we all operate. It ranges from 0-1000 and 500 is termed as the frequency of love, the whole program is designed for reaching the vibrations of love and increasing it further. What to Expect from Love or Above Program? 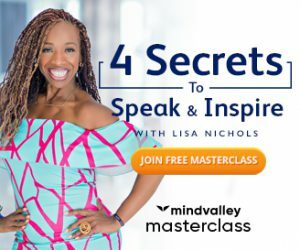 Developing Intuition, Raising vibration state of yourself and your family, Insightful Meditations, Connecting to Higher Self, Clearing Energy Blocks, Releasing Suppressed Emotions, Raising Intuitive Kids, Manifesting Desires – You name it! Sometimes I prefer to listen Christie’s connecting to divine self meditation when I visit any serene and beautiful place, I also sit in my balcony listening to these modules when it rains(it is my own preference, it feels good) and cutting cords meditation is my favorite as it helps me at the times when I feel overwhelmed. 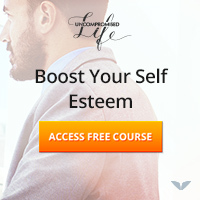 Unlike other programs, where I always highlight the particular area”where it can benefit you the most”, this one is truly for every area of your life, not only yours but for everyone who relates to you. I have always discussed about our energy levels and vibrations; they are responsible for whatever comes in our lives, if you agree with me on that- here is the program that focuses on the root of what creates our reality. How Can It Make the Difference? This program gives us a whole new perspective to look at everything around us; it opens up our minds to think beyond the physical appearances of things. If you never have meditated before, the very first guided meditation in this program will make you to experience the tranquility that will rejuvenate your mind and body. Christie’s voice hardly fails to make a profound impact on people- If you doubt that, try downloading the free heart centering meditation that they offer when you sign up. This program can really alter your current reality as it will immediately start to work on your energy as you go through it. I always emphasize that you have to follow a program regularly and make it a part of your life to see some real changes,but here the chances are that this program will automatically become a part of your life as you will start to see the changes. The only case when this may not work will be if you have a very dominating reasoning part of the brain and you find it hard to accept something that is far away from the reach of logic based thinking,I assume that since you are reading this – you do not fall into that category. For some people it could be a bit hard to digest some of the exercises offered by this program because the author has very openly incorporated stuff like “meeting guides and angles” in this program, but even if you do not believe in them the exercises are pretty interesting so just go through it with less resistance if you wish to keep your mind open for new things. I will suggest anybody who is interested in intuitive living to opt for Love or Above program which is refundable and it is a Mind Valley product so you do not have to worry about the reliability. One final advise-Please follow the instructions given in the program meticulously, set a few hours daily for the sessions and do keep the worksheet open while listening to the modules.